Al-Muharraq (Premier League) strengthened their roster with addition of experienced 35-year old American small forward Mike Harris (198-107kg-83, college: Rice). He played in the summer at Alaska Aces in Filipino PBA league. Harris managed to play in three leagues in three countries last year (!!!). 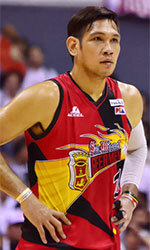 In 21 PBA games he was third best scorer with impressive 29.2ppg and had 20.2rpg (leader !!! ), 2.7apg, 1.1spg and 1.1bpg. Good season as he was selected League Player of the Week (2 times). The last season he played at Al Riyadi (LBL) in Lebanese league where in 14 games he was third best scorer with remarkable 15.6ppg and recorded 10.6rpg (#4 in the league), 2.8apg and 1.2bpg. Harris helped them to make it to the final after they ended regular season as second best team. He also played for Petrochimi (Superleague) in Iranian league. In 14 games he was third best scorer with high stats: 15.6ppg and averaged 10.6rpg (#4 in the league) and 2.8apg. 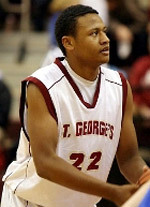 The other team Harris played that season for was Sturgeons (CBA) in Chinese league. In 38 games he got high stats: 20.2ppg, 11.7rpg, 2.7apg and 1.5spg. Harris has tried to make it to the NBA and played in the NBA Pro Summer League in 2012. Harris received alsoAsia-Basket.com All-PBA Governor's Cup Player of the Year award in 2018. He won Chinese CBA championship title in 2016. He is a very experienced player. Thanks to Harris' pro career he managed to play on three different continents (Asia, Latin America and of course North America) in five different countries. Harris has played previously professionally in Kuwait (Al Qadsia), Puerto Rico (Leones), Ukraine, NBA (Houston Rockets, Utah Jazz, Washington Wizards and Minnesota Timberwolves) and China (Jiangsu Dragons and Blue Whales). Harris attended Rice University until 2005 and it will be his 14th (!!!) season in pro basketball.